If you like wine, if you like food, and you like fun conversation with nice people, then THIS EPISODE IS FOR YOU!! 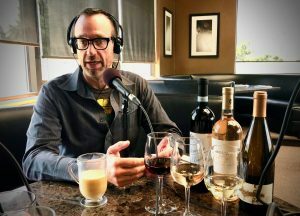 We chat with Jimmy Santangelo, founder of The Wine Academy of Utah and as far as we are concerned, the best sommelier in the biz! This entry was posted in Podcast Episodes and tagged Bill Allred, Dylan Allred, Jim Santangelo, Jimmy Santangelo, sommelier, The Wine Academy of Utah, Wine. Bookmark the permalink.